To power the Crystal Vision rack frames, you need power supplies. These are designed to provide sufficient power for any combination of boards in the frame. There are three plug-in power supplies available: the PSU-160i for the Indigo 2U and no-redundancy Indigo 1U frames, the PS-80i for the Indigo 1U frames with redundancy and the PSU3-VF for the Vision 3 frame. The Indigo desk top boxes have a built-in 60W power supply and therefore do not use plug-in supplies. 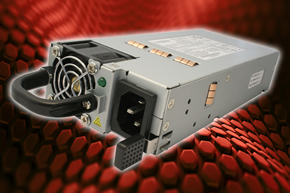 The PSU-160i is an Indigo plug-in power supply which provides a power output of 160 Watts. It is used in four different rack frames: the Indigo 2AE and Indigo 2SE 2U frames, and the Indigo 1AE and Indigo 1SE 1U frames. Power supply redundancy is available and is popular with those working live for extra peace of mind. Power redundancy is optional on the 2U frames. For 1U power redundancy, please see the PS-80i section below. To get power redundancy in the 2U frames you will need to fit two PSU-160i. The PSU-160i is hot swappable. Where multiple power supplies are fitted, one of them can be removed and changed while the system is powered – keeping you on air. The PSU-160i fits neatly behind the PSU fan in the frame and is easily accessed by removing this fan should the power supply need to be changed. It features an internal micro controller meaning it can be remotely monitored by the Statesman Lite PC control software and SNMP, with a readable serial number and alarms. LEDs on the front of the frame provide useful information about the power supplies fitted and will be off if a power supply is not fitted, green if okay and red if there is a fault or the output voltage is too low. Sized at 268mm x 105mm x 38mm, the PSU-160i weighs 480g. For more information including how to remove and insert a PSU-160i, download the Indigo Power Supplies user manual. To do so you will need your Registered Area username and password – alternatively request a Registered Area password now. The PS-80i is a slimline Indigo plug-in power supply which provides a power output of 80 Watts. The Indigo 1AE-DP and Indigo 1SE-DP 1U frames are designed for 1U redundancy applications and are always sold with two PS-80i power supplies already fitted. The PS-80i is therefore usually only purchased separately when it is required as a spare. Where 1U redundancy is not required, select the Indigo 1AE or Indigo 1SE instead – please see the PSU-160i section above. Two PS-80i must always be used together and they fit side-by-side in the frame's power supply bay, mounted on a motherboard which connects the power supplies to the frame. There is a left hand position and a right hand position and the correct version of the PS-80i (left or right hand) must be fitted in each. The PS-80i is hot swappable and one can be removed and changed while the system is powered – keeping you on air. The PS-80i fits neatly behind the PSU fan in the frame and is easily accessed by removing this fan should the power supply need to be changed. Sized at 185mm x 52mm x 35mm, each PS-80i weighs 240g. For more information including how to remove and insert a PS-80i, download the Indigo Power Supplies user manual. To do so you will need your Registered Area username and password – alternatively request a Registered Area password now. 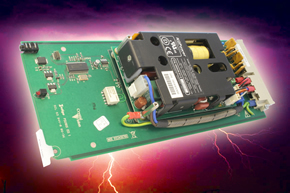 The PSU3-VF is a Vision plug-in power supply which provides a power output of 460 Watts. It is used in one rack frame – the 3U Vision 3 – and can power any combination of cards in the frame. Vision 3 is always sold with two PSU3-VF power supplies already fitted, providing power redundancy as standard and making it popular with those working live. The frame can run normally on a single power supply, but two are provided such that the frame will continue to work should one fail. 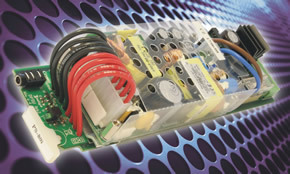 The PSU3-VF is therefore usually only purchased separately when it is required as a spare. The PSU3-VF is fitted with an internal fan, the speed of these will vary according to the load and ambient temperature. Should either PSU fail then the alarm relay will close, the front panel LED will light red and the green LED on the faulty power supply will go off. The PSU3-VF is hot swappable and one can be removed and changed while the system is powered – keeping you on air. Simply pull out the front IEC mains lead, lift up the green locking tab and remove the PSU by pulling on the handle mounted in front of the fan. Once the PSU has been pulled out, the fan of the other power supply will increase in speed to compensate for the extra load – and will decrease in speed as soon as the second PSU is replaced. 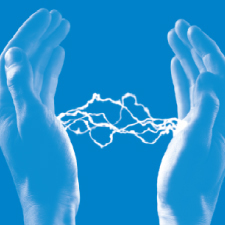 The status of the power supply can be monitored using VisionWeb. Sized at 240mm x 85mm x 40mm, the PSU3-VF weighs 861g. For more information including how to remove and insert a PSU3-VF, download the Vision 3 frame manual which will be available soon. To do so you will need your Registered Area username and password – alternatively request a Registered Area password now.